Are you looking for a place to study a language intensively, perhaps looking for a total immersion course with native speakers? Or maybe you want to take a vacation abroad, and while enjoying the sights, learn enough of a foreign language to help you get by in your explorations. We have collected here a number of foreign language schools of various levels of intensity in a variety of areas around the world, to help you find the destination of your choice. Buy the FSI Courses from the Digital Download Store and receive it today! This is the same content from the hardcopy editions, but with the text in PDF format and the audio in MP3 format. Find language schools in any language in any country with this school search engine! We are now offering featured listings for language schools at a rate of $50 for 3 months or $145 for a year. To get your listing, contact Ken Tomkins at multilingualbooks.@yahoo.com. 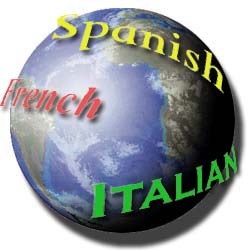 If you would like to submit a regular listing to include in these pages, just use our Foreign Language Schools Entry Form to send the information on your school program.